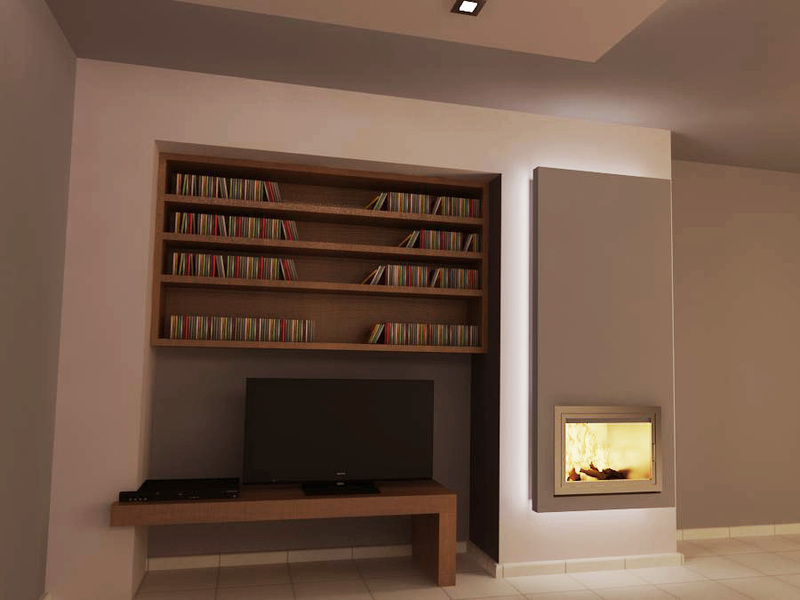 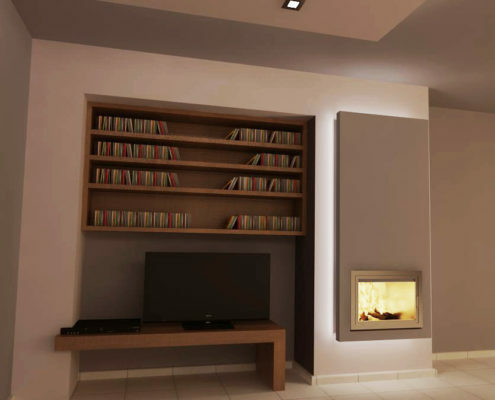 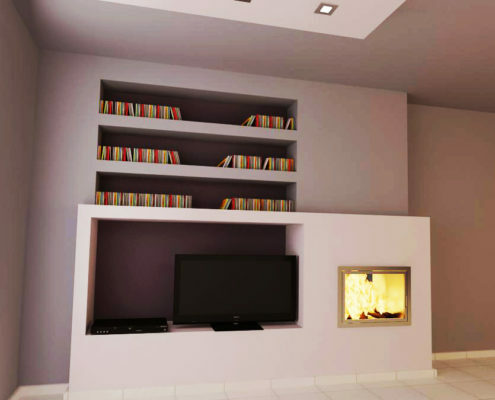 The owner of the apartment desired to install a fireplace in the sitting room. 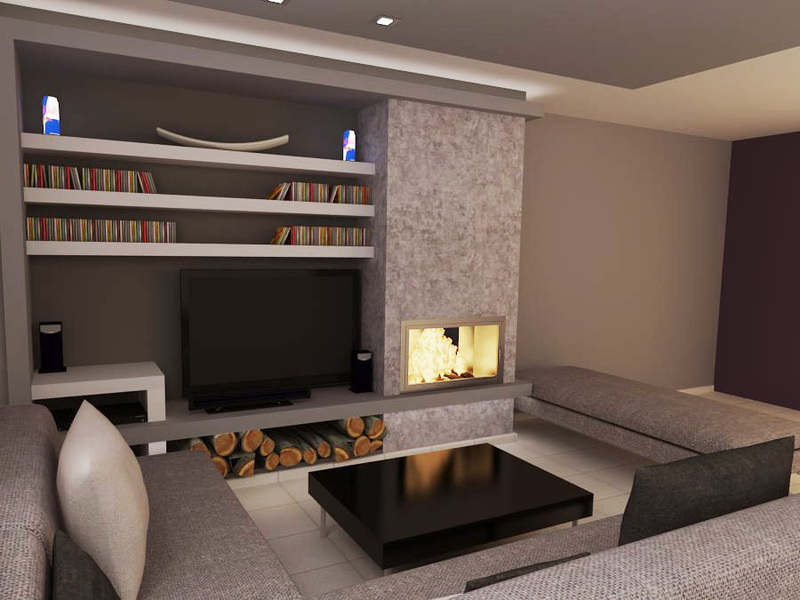 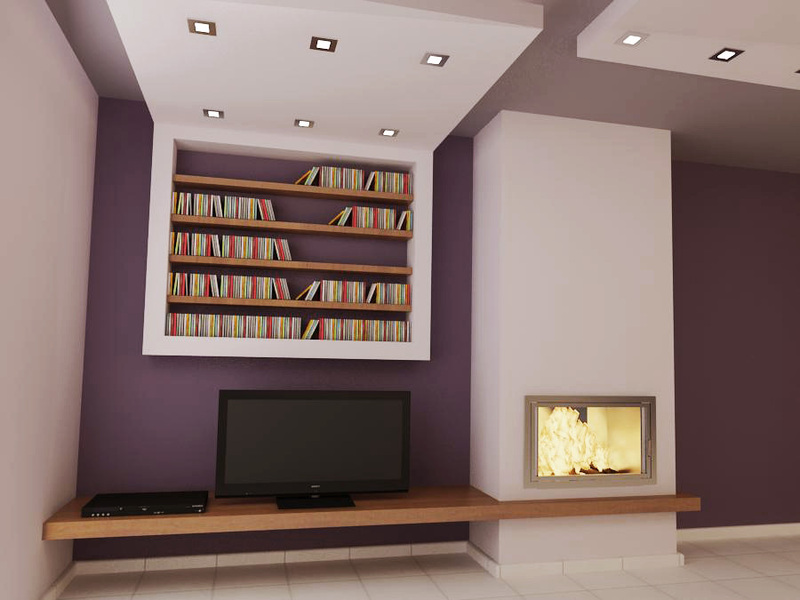 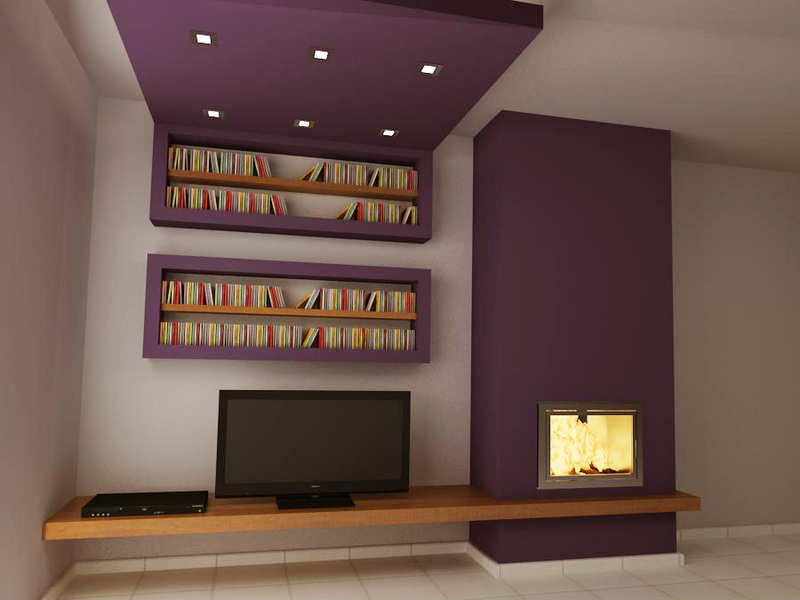 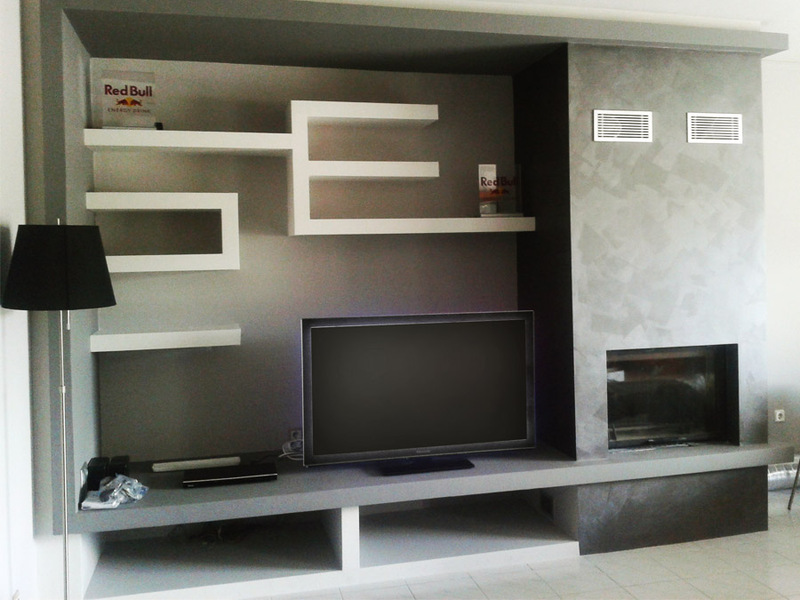 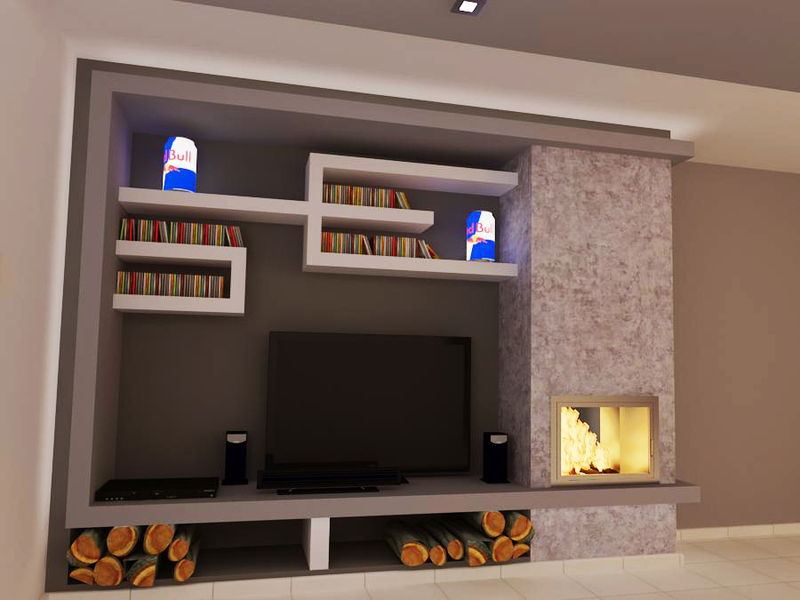 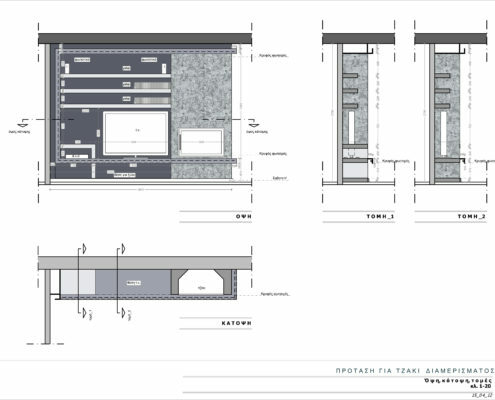 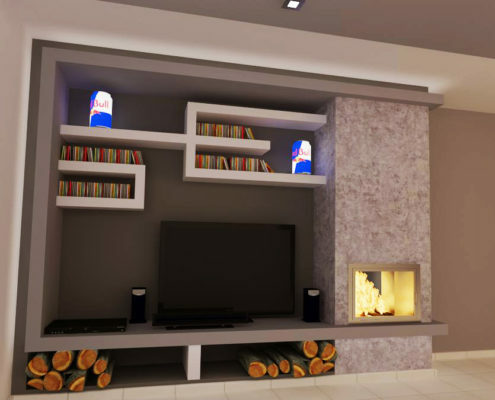 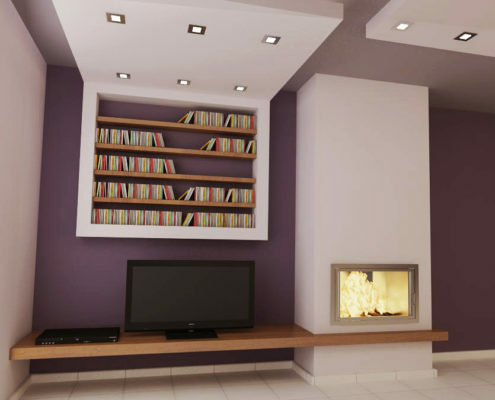 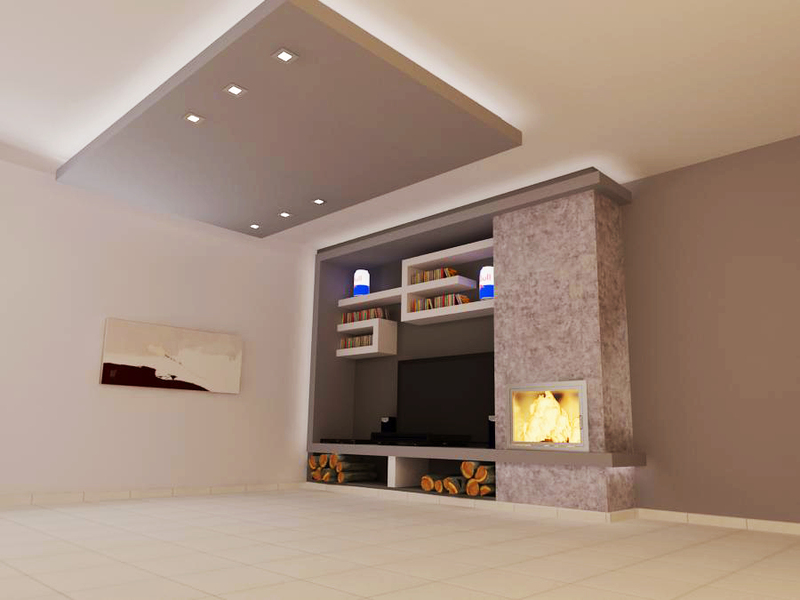 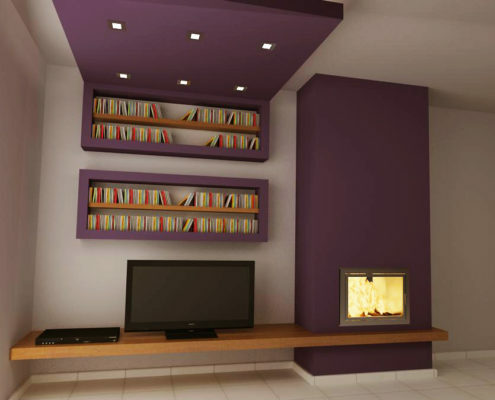 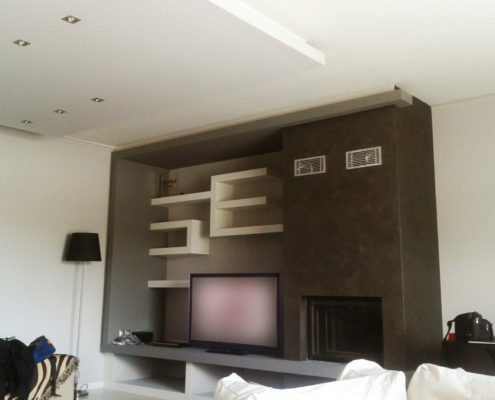 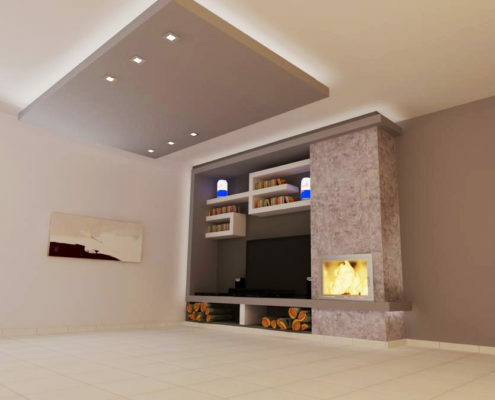 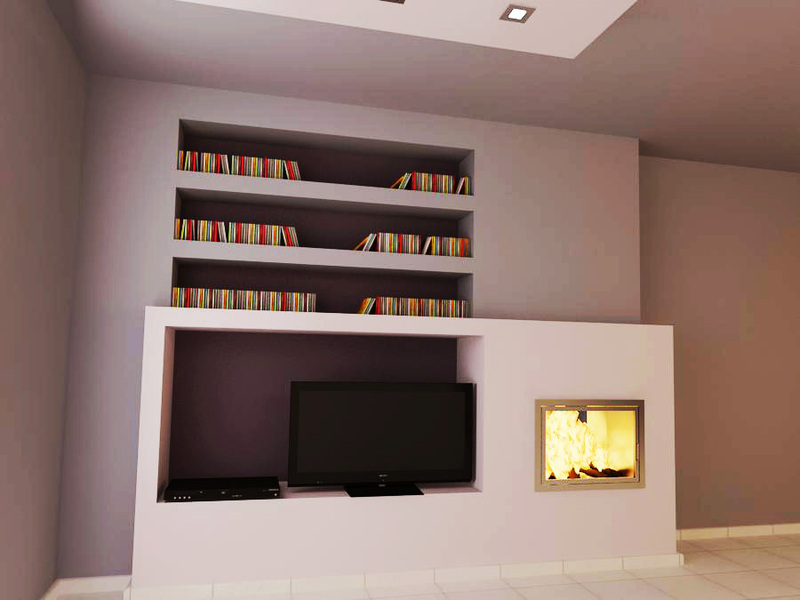 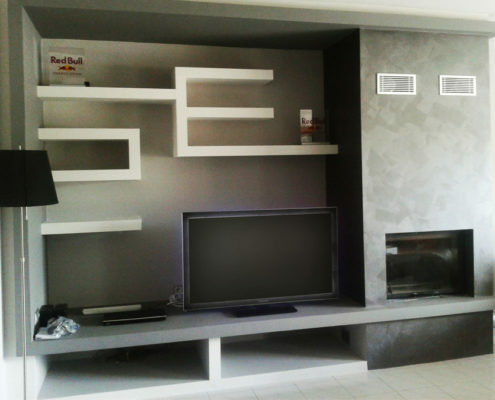 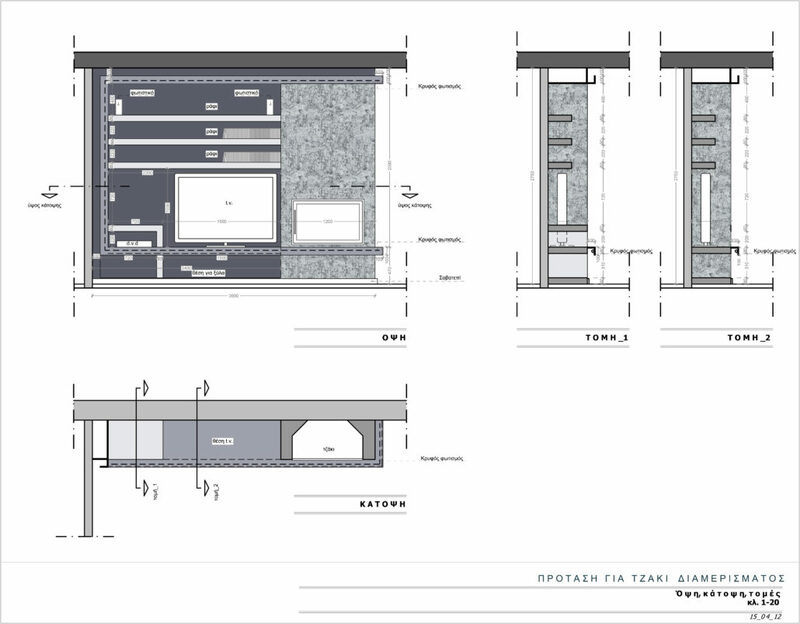 Along with the fireplace he asked to design storage shelves combined with t.v. furniture. 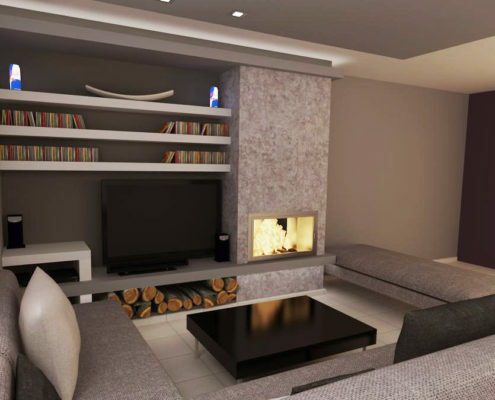 Several proposals that would fit to the apartment were made. 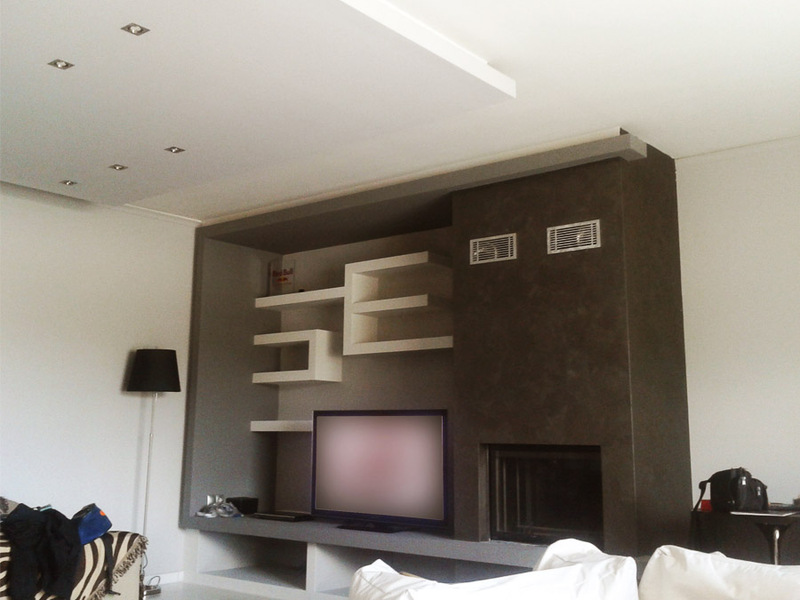 It was painted with a different style from the other walls and the installation was combined with a ceiling construction made of gypsum board.